The Knicks made their first acquisition in free agency and reportedly lost out on the player many expected them to sign. 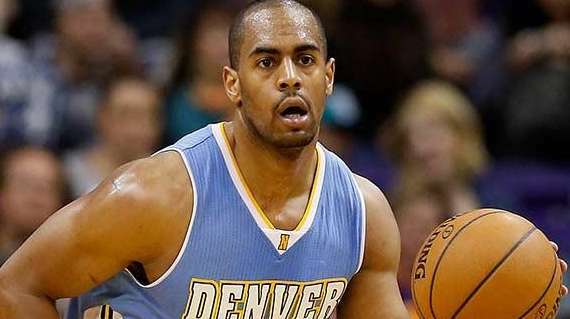 Arron Afflalo, 29, reached an agreement with the Knicks, two league sources confirmed Thursday morning. Afflalo will sign a two-year, $16 million deal, a source said. He gives the Knicks some much needed shooting and perimeter defense. But the Knicks' main target this offseason, Greg Monroe, has agreed to a three-year maximum contract with the Milwaukee Bucks, Yahoo! Sports reported. Deals cannot be announced officially until the free-agency moratorium ends July 9. The Knicks made signing a big man their priority, and all along, they were tied to Monroe, who played for the Pistons his first five seasons. Monroe is considered a good fit for the triangle offense, and his agent David Falk, who also represented Michael Jordan, has a longstanding relationship with Knicks president Phil Jackson. Yahoo! Sports reported that the Knicks wanted Monroe to take less than maximum money to give them more flexibility this summer and next. They had roughly $27 million to spend in free agency and were hoping to spread it between three starting-caliber players. After the Afflalo agreement, which includes a second-year player option, the Knicks have around $20 million for free agency. They are scheduled to meet with Blazers All-Star power forward LaMarcus Aldridge and Clippers center DeAndre Jordan in Los Angeles on Thursday. Portland center Robin Lopez, whose twin brother, Brook, plays for the Nets, is another option and on the Knicks' radar. The Knicks reportedly met with Lopez on Wednesday night in Los Angeles. He would cost much less than Aldridge and Jordan. They are both considered long shots to join the Knicks. Of course, many believed Monroe to the Knicks was as good as done, too. The Knicks improved on the perimeter with Afflalo and didn't spend nearly as much for him as expected. A nine-year veteran, Afflalo has averaged 11.4 points for the Pistons, Nuggets, Magic and Blazers and is a career 38.5 percent three-point shooter. Afflalo played with Carmelo Anthony in Denver, and he reportedly reached out and recruited his old teammate. Afflalo averaged 18.2 points and shot 42.7 percent from three for the Magic during the 2013-14 season. He scored 13.3 points per game for the Nuggets and Blazers last season, and hit 42.4 percent of his shots overall. He opted out of his contract that was set to pay him $7.5 million next season. It originally was reported he would seek a deal that paid him more than $10 million annually. If the Knicks can secure Afflalo, Monroe and Lopez in this free agency, it will be considered a good haul and put them in the right direction after going 17-65 last season. They also are speaking with other free agents, including Houston point guard Patrick Beverley and veteran guard Willie Green, and are looking to re-sign some of their own players, such as Lance Thomas.